When it comes to the new tax overhaul bill, there is good news and bad news for homeowners. I’ll start with the good. We dodged a bullet. At one point, legislators were looking to change the rules which allow households to exclude up to $500,000 for joint filers, $250,000 for single, in capital gains from the sale of a home. The requirement has been that the homeowner has lived in the house two out of the last five years. Legislators considered extending it to five out of the last eight years. Fortunately that proposal was struck down. Had it gone into effect, first and second time buyers would have had to sit in their houses for three more years, affecting the supply of homes in the lower price range. It would have made it much more difficult for move-up buyers. People in more expensive homes tend to stay put longer. It could have been a lot worse. The House wanted to cap the mortgage interest deduction on the first $500,000 in loans. The final bill raised the amount to the interest on the first $750,000 borrowed. While it’s better than the House version, it’s not as much as the former $1 million allowance. Existing mortgages (taken out before December 14) will be grandfathered in, but going forward, the cap will be at $750,000. This will affect a small percentage of Lake Oswego homebuyers and will play into some people’s decisions to buy or not to buy in the higher price ranges. The new tax bill caps state and local deductions on federal tax returns at $10,000. That means you can only deduct up to $10,000 in property and state income taxes combined. Before there was no limit. So depending on how high your property taxes are and how much money you make, this could leave you feeling some pain. This is another consideration that could come into play as homeowners look at buying higher end homes with higher property tax bills. Home equity loan interest is no longer deductible. In the past, homeowners often used lines of credit to update, expand, or remodel their homes, so this change in the tax law could slow that kind of activity. 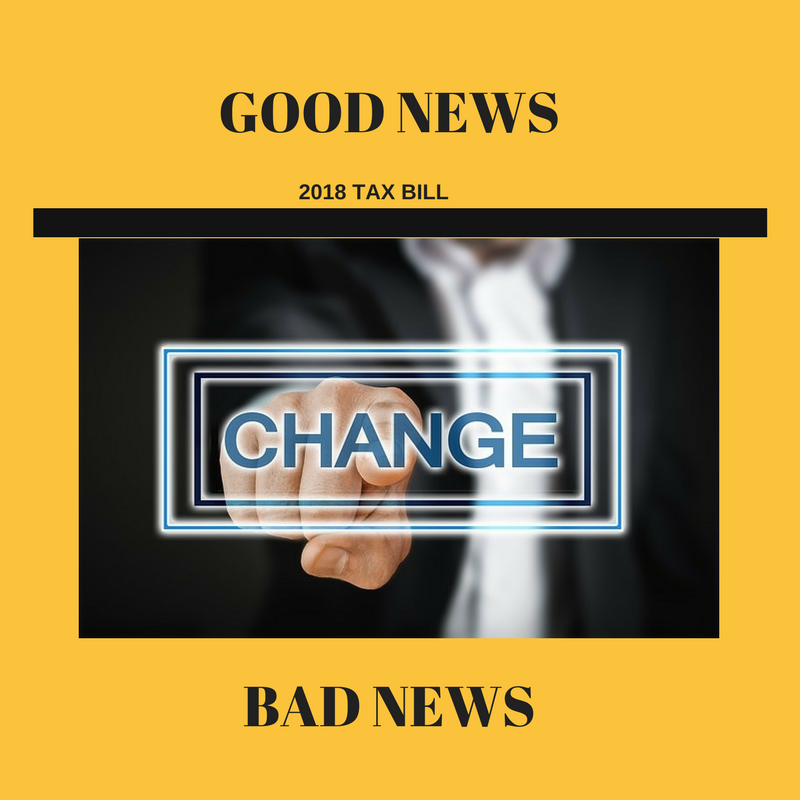 Changes in the standard deduction mean higher taxes for most of my clients. The new tax law combines the former standard deduction and personal exemption into one larger standard deduction: $12,000 for single filers and $24,000 for joint. But while the old formula offered a lower standard deduction/personal exemption of $10,400, you could also write off all your state and property taxes, instead of the cap under the 2018 law. So depending on what that mix is for you, you may find yourself paying more in taxes even with the higher standard deduction. Although that doesn’t directly affect real estate it does affect people’s bottom lines which need to be considered when buying and selling a home. So we will have to wait and see what the fallout from that will be. If you’re wondering how to navigate the home buying process in this new landscape, feel free to give me a call at 503.939.9801. Please note I am not an accountant and would advise you to seek one out also, but know I am here to help you sort things out when it comes to making your next home buying decision. This entry was posted in buying a home in Lake Oswego Oregon and tagged Lake Oswego homeowners, Lake Oswego Oregon, New Tax Bill, Tax Overhaul. Bookmark the permalink.